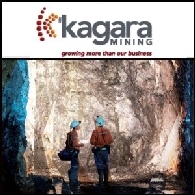 Kagara Limited (ASX:KZL) is pleased to announce the appointment of Paul Warme to its Executive Committee as Executive General Manager, Finance. 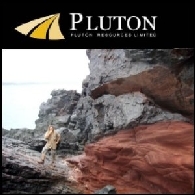 Pluton Resources Limited (ASX:PLV) are please to advise the appointment of Mr. Brett Clark as Chief Development Officer (CDO). 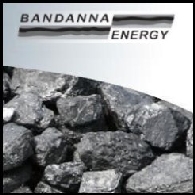 Bandanna Energy Limited (ASX:BND) is pleased to announce that effective 1 January 2012, John Pegler will join the board as a non-executive director. John is very well known in the international coal industry. 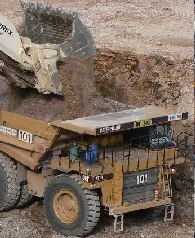 A mining engineer by training, he has worked for 39 years in open-cut and underground resource development, coal mining and processing operations, international and domestic coal marketing, project management and international procurement. Mr. Eddie Grieve from the Australian Securities Exchange (ASX:ASX) presented at the "Mongolia: Capital Raising and Investment" Conference organized by Frontier Securities. He talks about ASX as a ideal destination for Mongolian companies seeking listing. 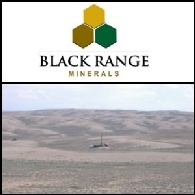 Black Range Minerals Limited (ASX:BLR) is pleased to announce that Mr. Benjamin Vallerine has been appointed to its Board of Directors. Asian Activities Report for October 10, 2011 includes: Carabella Resources Limited (ASX:CLR) announced the appointment of experienced coal industry executive Anthony Quin as Managing Director; Tasman Resources Limited (ASX:TAS) has signed a conditional agreement with Rio Tinto Limited (ASX:RIO) for the funding of an accelerated exploration program on Tasman&apos;s Vulcan prospect; Acer Energy Limited (ASX:ACN) has executed a conditional Sale and Purchase Agreement with Sundance Energy Australia Limited (ASX:SEA) to acquire all of Sundance&apos;s 23.33% working interest in Petroleum Exploration Licence 100; Starpharma Holdings Limited (ASX:SPL) has received agreement from the US Food and Drug Administration regarding the Phase 3 clinical trial program for the Company&apos;s VivaGel (R) bacterial vaginosis treatment. 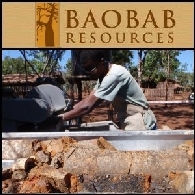 Baobab Resources plc (LON:BAO) is an iron ore, base and precious metals explorer with a portfolio of exploration projects in Mozambique. 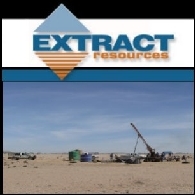 The Company is pleased to present an update of activities at the Massamba Group iron / vanadium / titanium project where a 160Mt resource upgrade was announced on 30 August 2011, the first of three resource statement updates expected before the end of 2011. 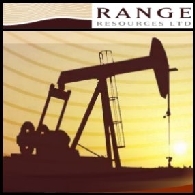 The Company continues to target a resource base of 300Mt of iron ore by the end of 2011. 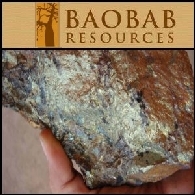 Baobab Resources plc (LON:BAO) is an iron ore, base and precious metals explorer with a portfolio of mineral projects in Mozambique. 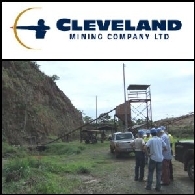 The Company announced on 15 November 2010 the signing of a Joint Venture (the &apos;Joint Venture&apos;) with North River Resources plc (LON:NRRP) in relation to North River&apos;s Muande project (the &apos;Project&apos;) in the Tete province of Mozambique. 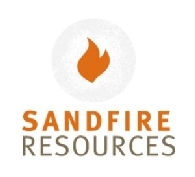 The Muande project comprises two exploration licences covering an area of 338km2 located approximately 25km northwest of the provincial capital of Tete and contiguous with Baobab&apos;s Tete project. 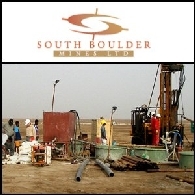 South Boulder Mines Limited (ASX:STB) is pleased to announce the appointment of a highly experienced open cut mining engineer to the management team. 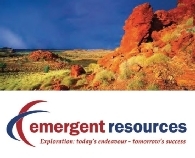 As reported in the June Quarterly Report, Dragon Energy Limited (ASX:DLE) made an in principle decision to pursue rapid development of its Pilbara Iron Project. 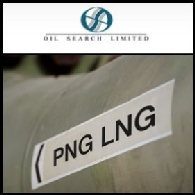 To progress this initiative, Dragon is pleased to announce the appointment of GHD Pty Ltd as lead consultant for the scoping study of the Project. 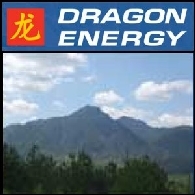 This study is expected to be completed in late September and will examine Dragon&apos;s options for developing the Project. 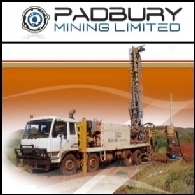 Padbury Mining Limited (ASX:PDY) is pleased to advise that it has appointed Mr Dan Podger as Project Manager for the Peak Hill Iron Project, a joint venture between Padbury Mining Limited and Aurium Resources (ASX:AGU). 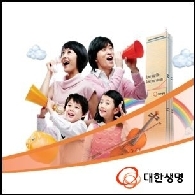 EXPERT VIDEO: George Lee Sye is the founder of Soarent Vision. 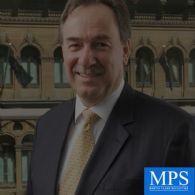 He is a highly regarded educator and author, with a formidable reputation for guiding organizations through their performance enhancement journey. 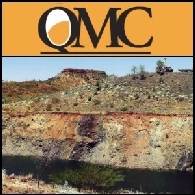 Queensland Mining Corporation Limited (ASX:QMN) is pleased to announce the appointment of Mr. Brian Rear as non-executive director. 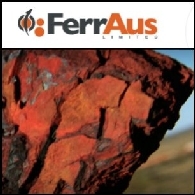 FerrAus Limited (ASX:FRS) (PINK:FRRAF) today announced that it had awarded the major contracts to complete its Definitive Feasibility Study and confirmed the appointment of key members of its senior management team. 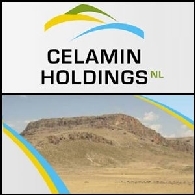 Celamin Holdings NL (ASX:CNL) update on company projects and activities. 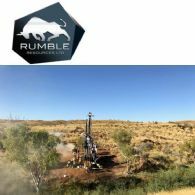 Rum Jungle Resources Limited (ASX:RUM) today updates on the exploration at Barrow Creek 1 Phosphate Discovery. 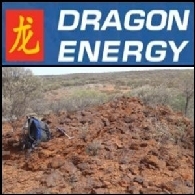 Dragon Energy Limited (ASX:DLE) is pleased to announce an Exploration Target of 140 to 190 Million tonnes at a grade of 48 to 52% Fe (54 to 56% calcined Fe) at the Company&apos;s 100% owned Nameless tenement in central Pilbara. 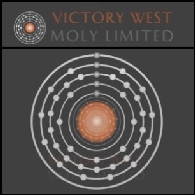 Victory West Moly Limited (ASX:VWM) is pleased to announce the imminent commencement of construction and development activities at the USSU Nickel Project. 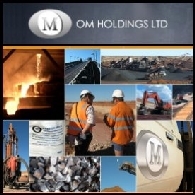 Dragon Energy Ltd (ASX:DLE) is pleased to announce that it has completed the A$4.5m settlement payment for the Rocklea Project (E47/1024-I) in the Pilbara iron ore province and has assumed 100% title for the tenement. 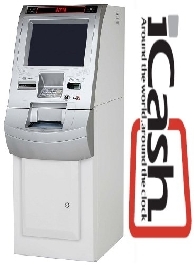 The payment was made to AusQuest Limited (ASX:AQD) and its Joint Venture partners on 19 January 2011. 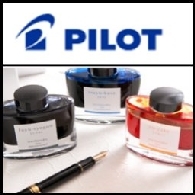 Under the agreement with the Vendor, the Company will make two additional payments. 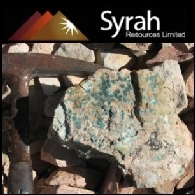 Victory West Moly Limited (ASX:VWM) (ETR:R1E) the SE-Asia focused metals explorer, is pleased to provide an update of its drilling program at the USSU Nickel Project. 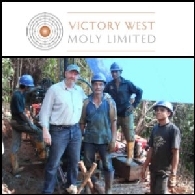 Victory West Moly Limited (ASX:VWM) (FSE:R1E) the SE-Asia focused metals explorer, has announced a significantly refined exploration target size for the nickel laterite mineralization at its USSU Nickel Project in Indonesia. 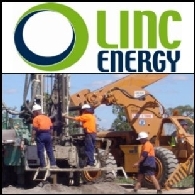 Linc Energy (ASX:LNC) (OTCQX:LNCGY) is pleased to announce that it is currently working with potential buyers of the Teresa coal resource whilst continuing to develop and de-risk the asset even further with four more core holes drilled in the resource and more detailed work around port and rail access. 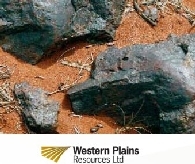 Victory West Moly Limited (ASX:VWM) is pleased to announce that it has completed negotiations and commercial terms and conditions with Oceantide Investments Pty Ltd ("Oceantide") and is proceeding with the acquisition of (subject to shareholder approval) of Oceantides rights to a 70% equity interest in the highly prospective USSU Nickel Project. 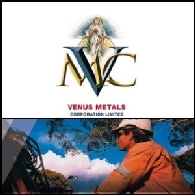 Venus Metals Corporation Limited (ASX:VMC) is extremely pleased to advise that nine Prospecting Licences covering parts of Smoke Creek have been granted. A$2.5 Million Placement made with Convergence Capital Corporation Victory West Moly Limited (ASX:VWM) is pleased to announce the placement of 20,833,333 new fully paid ordinary shares at a price of A$0.12 per share to raise A$2.5 million. 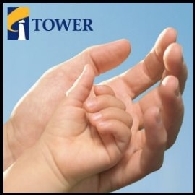 The shares are being placed with Convergence Capital Corporation and or its sophisticated and institutional investors. 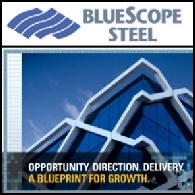 These additional funds will strengthen the company&apos;s cash position as it finalises due diligence on the previously announced DSO Nickel acquisition. 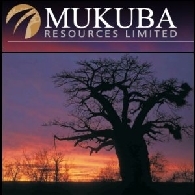 Mukuba Resources Limited (CVE:MKU) (PINK:MKBAF) is pleased to announce that it has mobilized a drill rig to undertake a program of diamond drilling across the Chipirinyuma prospect within the Nyimba Project Area located east of Lusaka, Zambia. 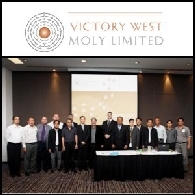 Victory West Moly Limited (ASX:VWM) is pleased to announce the execution of a binding Memorandum of Agreement ("MOA") with China Guangshou Group Corp ("CGGC") that will fully fund VWM&apos;s Malala Molybdenum Project to large scale production. 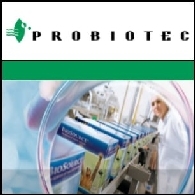 Victory West Moly Limited (ASX:VWM) ("VWM" or the "Company") confirms that on 21 October 2010, the Company entered into a Share Acquisition Agreement with the shareholders of Victory West Pty Ltd (Victory West) to formalise its agreement to acquire the remaining 25% of their shares in Victory West as previously announced. 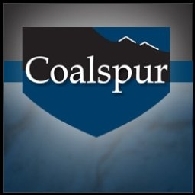 Coalspur Mines Limited (ASX:CPL) (PINK:CSPZF) is pleased to announce that Mr Colin Steyn has been appointed as a Non-Executive Director of the Company. 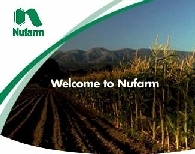 Mr Steyn has over 30 years experience in the resources sector. 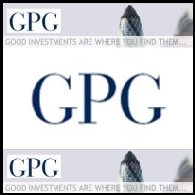 His appointment follows the recently completed placements to the Highland Park Group who have become a strategic investor in the Company. 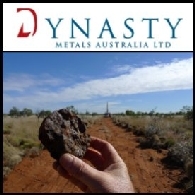 Dynasty Metals Australia Limited (ASX:DMA) are pleased to announce that it has successfully secured a strategic tenement following a strongly contested ballot. 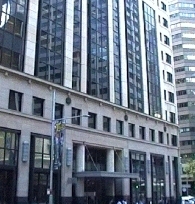 The new tenement, (E52/2591) is contiguous with Dynasty&apos;s existing tenement holdings, and is located near to the vast Mt Newman mining operations. 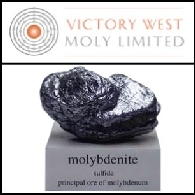 Victory West Moly Limited (ASX:VWM) (FSE:R1E) are very pleased to announce the successful grant of Production and Operational (Exploitation) IUP licenses for its two most strategic concessions that form the core of the Malala Molybdenum Project located in North Sulawesi, Indonesia. 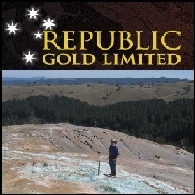 Australian Market Report of September 13, includes: Arafura Resources Limited (ASX:ARU) has successful produced commercial quality separated Rare Earth Oxides; ABM Resources NL (ASX:ABU) announced Best gold intersections at the Buccaneer Gold Porphyry Prospect; John Holland, a wholly owned subsidiary of Leighton Holdings Limited (ASX:LEI), has been awarded a A$276 million marine contract; Austpac Resources N. L (ASX:APG) has signed an agreement with CMC Cometals Australia for the supply of raw materials. Victory West Moly Limited (ASX:VWM) (ETR:R1E) is pleased to announce the signing of a binding Memorandum of Understanding with China Guangshou Group Corp ("CGGC") that, subject to due diligence, is to acquire a 65% interest in the Malala Molybdenum Project. Victory West Moly Limited (ASX:VWM) to Acquire a Majority Interest in Highly Prospective Direct Shipping Ore (DSO) Nickel Project in South Sulawesi, Indonesia is pleased to announce that it has entered into a binding agreement (the "Agreement") with Oceantide Investments Pty Ltd ("Oceantide") for the right to acquire within the next 60 days, subject to due diligence, Oceantide&apos;s rights to a highly prospective DSO Nickel Project in South Sulawesi, Indonesia (either through the acquisition of 100% of Oceantide&apos;s equity capital or 100% of Oceantides rights to the project). The Australian stock market opened lower today, after poor signals on the US jobs market sent Wall Street slightly lower overnight. The Australian stock market opened lower on Wednesday, shedding gains after hitting a six-week high on the previous day. In early trade, S&P/ASX200 index was down 0.3 per cent, at 4558.1 points, while All Ordinaries index had fallen 0.28 per cent, to 4573.8 points. 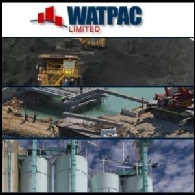 Financial and industrial stocks were down 0.5 per cent and the materials sector was 0.4 per cent lower. The Australian stock market swung higher this morning after Wall Street hit a ten-week high after better-than-expected manufacturing data and strong European bank earnings. Almost all sectors have performed strong, leading by Materials, Information Technology and Energy. 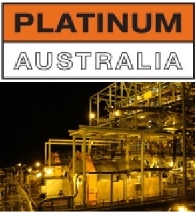 Rio Tinto (ASX:RIO) said in its second quarter 2010 operations review that markets for most of the products are strong and the overall long term demand outlook is positive. A boost in resources stocks on Friday helped to break the eight-day losing streak in Australian stocks market. The local market finished marginally higher at the close, despite the proposed new minerals resources rent tax sparked a strong gain in early trade. This is largely due to Investors&apos; refocuse on global economy issues. 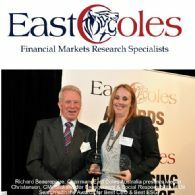 The Australian market Wednesday ended the last trading session of the 2010 financial year in a negative territory. The market clawed back some ground from the sharp loss in early trade. At the close, the benchmark S&P/ASX200 index fell 44.2 points, or 1.02 per cent, at 4,301.5 points, while the broader All Ordinaries index was down 45.8 points, or 1.05 per cent, at 4,324.8. The Australian share market delivered a strong opening on Wednesday as Wall Street&apos;s rally overnight boosted confidence in local market. S&P/ASX200 index rose 1.4 per cent in early trade, driven by resources, industrial and financial stocks. The Australian shares yesterday closed slightly lower with light volumes while Asia markets were mostly flat. 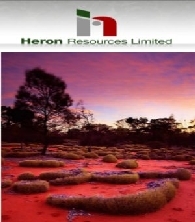 Aluminum Corp of China (SHA:601600) (HKG:2600), or Chalco, is three weeks away from deadline to submit a feasibility study of developing a refinery for the Aurukun bauxite deposit in Queensland. The state government has indicated that Chalco has to build an aluminium refinery on the state&apos;s east coast as part of the requirements to secure the lease. Global giant Rio Tinto called Australia&apos;s planned new mining tax its top regulatory threat worldwide Monday. 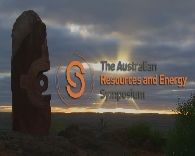 Rio Tinto (ASX:RIO) confirmed it is reviewing the potential impact of Australian government&apos;s proposed Resource Super Profits Tax (RSPT) on all of its operations and new projects in Australia, but no decision has been made to shelve any projects in Australia. 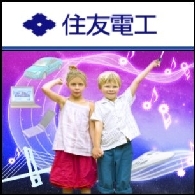 Victory West Moly Limited (ASX:VWM) is pleased to provide shareholders with this Quarterly Activities Report for the three (3) months ending 31 March 2010. Activities continued to focus on the Anomaly B and Promistis prospect areas within the Malala Molybdenum Project located in northern Sulawesi, Indonesia. 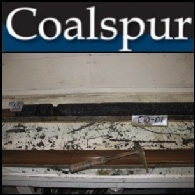 Coalspur Mines Limited (ASX:CPL) (PINK:CSPZF) is pleased to announce that it will make a placement to the Highland Park Group who will become a strategic investor in the Company. 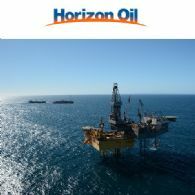 The placement will significantly strengthen the Company&apos;s financial position as well as provide access to Highland Park&apos;s substantial resource management skills and also greatly assist in lifting the Company&apos;s profile in North American markets. 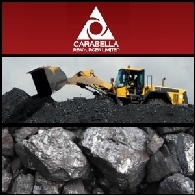 Funds from the placement will enable the Company to accelerate the development of its Hinton Coal Project based in Alberta, Canada and pursue related new business development opportunities. Asian markets mostly opened lower today despite Wall Street gained for its sixth straight day on Thursday. Australian shares fell slightly as the market is taking a breather after rallies in the past several days. 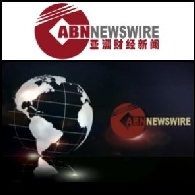 Yesterday Asian shares were encouraged by China&apos;s first quarter economic growth. China&apos;s National Bureau of Statistics said yesterday that its economy surged by 11.9 per cent in the March quarter, up from 10.7 per cent in the final three months of 2009. Japan&apos;s Nikkei 225 Average rose 0.6 per cent and South Korea&apos;s Kospi was up 0.5 per cent. Hong Kong and Australia markets posted small gains. China&apos;s Shanghai Composite ended flat. 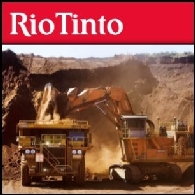 Rio Tinto (ASX:RIO) said most of its operation continued to run at capacity. 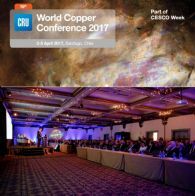 But the mining giant is still cautious about the short term volatility, despite strong demand from China and recovery in OECD markets. Rio Tinto said its global iron ore production in the first quarter 2010 was up 39 per cent compared with the same quarter of 2009. 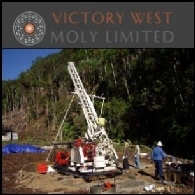 Victory West Moly Limited (ASX:VWM) is pleased to announce it has completed a thorough assessment of all available geological data sets from the Anomaly B prospect, part of the Company&apos;s highly prospective Malala Molybdenum Project in Sulawesi, Indonesia. 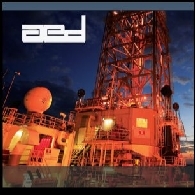 As a result, a robust geological model has been developed which illustrates that significant upside exists at Anomaly B. Wall Street&apos;s modest gain overnight provided Asian stocks a positive lead, but lingering concerns over China&apos;s monetary policy could drag the regional markets today. Investors may keep cautious ahead of policy meetings by the US Federal Reserve and the Bank of Japan this week. Yesterday most Asian markets were lower. Japan&apos;s Nikkei 225 ended flat and South Korea&apos;s Kospi fell 0.8 per cent. China&apos;s Shanghai Composite lost 1.2 per cent, and Hong Kong&apos;s Hang Seng Index declined 0.6 per cent amid fears of Chinese government&apos;s possible credit tightening measure. Most Asian markets fell Thursday as investors took profit from recent rallies. Resources shares declined across the region after news that International Monetary Fund plans to sell 191.3 metric tons of gold on open markets. Hong Kong&apos;s Hang Seng Index lost 0.5 per cent and South Korea&apos;s Kospi fell 0.4 per cent. 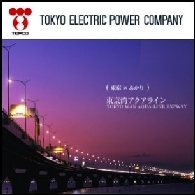 However, Japan&apos;s Nikkei stock average rose 0.3 per cent while the Bank of Japan left its interest rate at 0.1%. China, Taiwan and Vietnam markets remained closing on Friday. 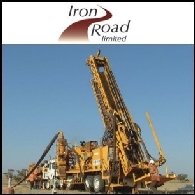 Iron Road Limited (ASX:IRD) is pleased to announce that significant progress has been made at the Gawler Iron Project in South Australia. 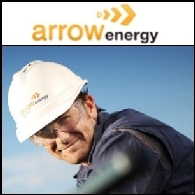 Planned commencement Company&apos;s maiden drilling programme at Gawler remains within Q1 2010. In Asia, China&apos;s unexpected announcement that it will increase the reserve-requirement ratio would fuel worries over the global economy recovery, but thin trading is expected today as most markets including mainland China, Hong Kong, Taiwan, Vietnam, South Korea and Singapore will be closed for Lunar New Year holiday. 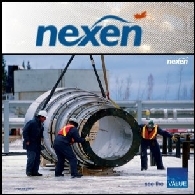 Japan&apos;s exporters will be supported by weaker yen. Japan&apos;s gross domestic product data, released by the Cabinet Office on Monday, showed that the country&apos;s economy grew at a faster than expected pace in the October-December quarter. Asian markets were higher Thursday. Hong Kong&apos;s Hang Seng Index gained 1.9 per cent and South Korea&apos;s Kospi advanced 1.8 per cent. China&apos;s Shanghai Composite closed flat with thin trade ahead of the upcoming Lunar New Year, despite a slower than CPI growth eased worries of rate increase. The Australian share market dropped sharply to a three-month low on Friday follwoing the plummet in overseas stocks and commodities prices. About A$31 billion was wiped from the value of stocks after the massive selling in Australian shares. At the close, the benchmark S&P/ASX200 index fell 107.3 points, or 2.32 per cent, to close at 4514.3, while the broader All Ordinaries index lost 111.4 points, or 2.4 per cent, to 4532.7. Asian markets closed mostly higher on Wednesday as materials shares were boosted by strong commodities prices. Japan&apos;s Nikkei average rose 0.3 percent as exporters gained on strong U.S. data and weakness in yen against greenback. But the rises were pulled back by a drop in shares of Toyota Motor Corp after its recall woes hit its sales. South Korea&apos;s Kospi added 1.2%, Hong Kong&apos;s Hang Seng Index rose 2.2% and China&apos;s Shanghai Composite gained 2.4%. Australian shares on Thursday rose on Rio Tinto&apos;s report on strong production and sales. The upbeat jobs data and rebounding Asian markets also helped to lift the market. At the close, the benchmark S&P/ASX200 index gained 29.9 points, or 0.6 per cent, at 4898, while the broader All Ordinaries index advanced 29.3 points, or 0.6 per cent, to 4929.4. Australian share market ended the first week of 2010 with a 15-month high as banking shares rebounded on Friday from the falls in previous session, offsetting losses in resources sector. At the close, the benchmark S&P/ASX200 index rose 12.7 points, or 0.3 per cent, to 4912.1, while the broader All Ordinaries index advanced 11.7 points, or 0.2 per cent, to 4942.2. The Australian shares Wednesday were broadly higher in the last full trading day before Christmas holiday. The market rose in a light trade after the US market gained on the upbeat home sales data. At the close, the benchmark S&P/ASX200 index rose 35.1 points, or 0.7 per cent, at 4739.3, while the broader All Ordinaries advanced 31.7 points, or 0.7 per cent, to 4756.1. The Australian share market posted a strong gain boosted by banks and miners on Tuesday after good lead from European markets and Wall Street. At the close, the benchmark S&P/ASX200 index was up 69.1 points, or 1.49 per cent, at 4704.2 points, while the broader All Ordinaries index surged 64.9 points, or 1.39 per cent, to 4724.4. The Australian sharemarket Tuesday closed higher in a quiet trading day as Dubai debt fears eased. The local market was also inspired by an earlier report about energy giant Exxon&apos;s US$30 billion takeover bid of XTO and the forecasts by the Australian government commodity forecaster ABARE for iron ore and coking coal exports. At the close, the benchmark S&P/ASX200 index rose 19.5 points, or 0.4 per cent, at 4673.5, while the broader All Ordinaries gained 19.6 points, or 0.4 per cent, to 4687.8. The Australian sharemarket ended the four consecutive day losing streak and closed higher on Friday in quiet trading condition. The market opened stronger on the good lead from Wall Street and made sustained gains, helped by the Chinese industrial production data suggesting demand for Australian resources will remain strong. At the close, the benchmark S&P/ASX 200 index rose 28.5 points, or 0.62 per cent, to 4635.20 points, while the broader All Ordinaries index also advanced 28.5 at 4651.40 points. For the week, the market closed down 1.4 percent. Australian market Monday ended lower in a thin trade led by resources stocks, as commodities prices dropped on a sharp rise in US dollar. At the close, the benchmark S&P/ASX200 index fell 25.7 points, or 0.6 per cent, at 4676.5, while the broader All Ordinaries lost 26 points, or 0.6 per cent, to 4695.2. US stocks soared on Friday after the Labor Department data showed that job cuts fell sharply in November. The news fuelled the expectations that the US Federal Reserve might consider increasing interest rates. US stocks closed higher overnight as Dubai World said it was in discussions with banks to restructure US$26 billion in debt and the talks were proceeding on a constructive basis. Global markets strongly rebounded yesterday as investors realised that Dubai&apos;s trouble might be a regional problem. Overnight US stocks ended at a fresh 13-month high ahead of the Thanksgiving holiday, helped by a series of upbeat economic data. A report showed initial claims for US jobless insurance benefits plunged to their lowest levels since September last year. US incomes rose 0.2 per cent and consumer spending jumped 0.7 per cent in October. New home sales rose 6.2 per cent unexpectedly. US equities fell for a third straight day on Friday as Dell&apos;s disappointing earnings result dragged the US stocks lower. Energy and materials companies were weighed down after European Central Bank president Jean-Claude Trichet indicated that supportive stimulus measures must soon be unwound, prompting traders to buy US dollar. 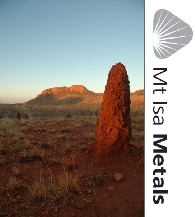 Murchison Metals Limited (ASX:MMX)(PINK:MUMTF) is pleased to announce that a study update has been released by Crosslands Resources Limited (Crosslands). 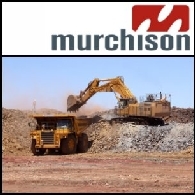 The update underlines Murchison&apos;s growing confidence in Jack Hills&apos; potential as a large scale, multidecade project yielding substantial cash flows and economic value. 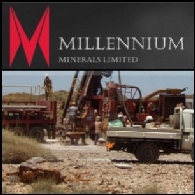 Victory West Moly Ltd (ASX:VWM) is pleased to announce the discovery of a significant new molybdenum anomaly at PT Promistis, only 10km from the Company&apos;s Anomaly B Molybdenum Prospect, within the Malala Molybdenum Project area, Sulawesi, Indonesia. 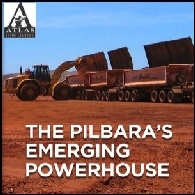 Atlas Iron Limited (ASX:AGO) is pleased to announce that it has further strengthened its Board with the appointment of former Rio Tinto senior iron ore executive Dr David Smith as an independent non-executive Director. 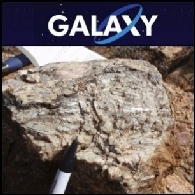 Emerging lithium producer, Galaxy Resources Limited (ASX:GXY)(PINK:GALXF), today announced the signing of a Strategic Lithium Alliance Agreement (Alliance) with General Mining Corporation Limited (GMM) for the exploration of lithium in Mongolia and Kazakhstan. 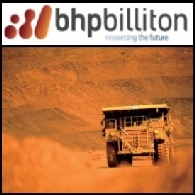 BHP Billiton (ASX:BHP) and Rio Tinto (ASX:RIO) said today that the two top miners in Australia have scrapped a plan to jointly market ore from a planned Australia joint venture. US stocks closed mixed overnight as investors took profit ahead of the wave of corporate earnings offset the news of an acquisition in technology sector. Dow index ended slightly lower while the tech-heavy Nasdaq composite was up on Cisco&apos;s deal to purchase Starent Networks. Overnight Wall Street extended its gains on Reserve Bank of Australia&apos;s unexpected decision to raise the official interest rate. Investors saw the first rate hike in advanced economies since the global financial crisis as a key indication of recovery. The move also pushed commodities higher with gold soaring to a record. The US market fell into mood swings and closed in the red last week. 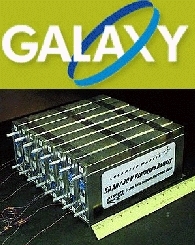 On Friday, the disappointing sales by BlackBerry maker Research In Motion dragged the technology companies lower. For the week, the Dow index lost 155 points, or 1.58 per cent. 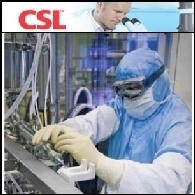 This week the market will be tested by crucial data including September non-farm payrolls, final second-quarter gross domestic product and several other big economic reports. 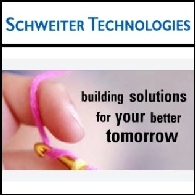 Rio Tinto Ltd. (ASX:RIO) said Tuesday it has entered into an agreement to sell Alcan Composites, part of the Alcan Engineered Products division, to Switzerland&apos;s Schweiter Technologies AG (SWF:SWTQ) for a total consideration of US$349 million. Wall Street closed higher overnight on investors&apos; buying in industrial and materials stocks. Meanwhile, the fears of trade dispute between the US and China was offset by the news that a Chinese wealth fund is in talks to take over a minority stake in the US power plant AES. Wall Street closed in negative territory on Friday despite a survey showed that US consumer sentiment rose to its strongest level in three months. But the Dow still surged 164 points, or 1.74 per cent, with four days rally in the week. Wall Street made a third consecutive day gain overnight as some latest economic data shows that the recession is bottoming out. 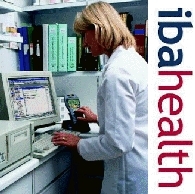 Financials were also buoyed after Insurance giant American International Group said it expects to repay the government. 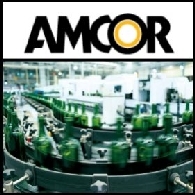 Amcor Ltd. (ASX:AMC), the world&apos;s largest maker of plastic soft drink bottles, said Tuesday that it will buy parts of Rio Tinto Ltd.&apos;s (ASX:RIO) Alcan Packaging business for US$2.025 billion to expand its existing business in Asia and Europe. 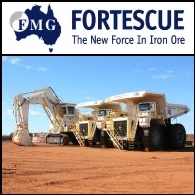 Rio Tinto Ltd. (ASX:RIO) says the company does not see the pricing agreement by Fortescue Metals Group Ltd. (ASX:FMG) and Chinese steelmakers as relevant to its pricing for fiscal 2009 as the miner conducts its own negotiations with customers worldwide. An encouraging employment report sent the US stocks to a more than nine months high on Friday. The Labor Department released a report that the country&apos;s unemployment rate unexpectedly dropped to 9.4 per cent, its first decline in 15 months. Australian stocks surged massively yesterday following a rally on Wall Street. The benchmark S&P/ASX200 jumped 129.6 points, or 3.5 per cent, at 3867.1, while the broader All Ordinaries rose 120.8 points, or 3.2 per cent, to 3858.8 points. The gains in overseas markets are likely to continue bolstering the Australian shares as the US earnings reports released in the first week restored some market confidence. The Australian shares closed flat Thursday as the market was awaiting more US corporate financial results. The benchmark S&P/ASX200 index fell 4.6 points, or 0.1 per cent, at 3763.3 points, while the broader All Ordinaries index also lost 4.6 points, or 0.1 per cent, to 3761.4 points. The market sentiment was buoyed by the better-than-expected jobs data released yesterday. Yesterday, the Australian stocks closed lower led by weakness in mining and energy sectors following the drop in oil prices. The benchmark S&P/ASX200 index lost 44.5 points, or 1.16 per cent, to 3,783.7 points, while the broader All Ordinaries index was 42.4 points, or 1.11 per cent lower, to 3,784.2 points. Analysts expect the market remains low trading volume as the investors were nervous ahead of the reporting season. Yesterday the Australian market posted a marginal rise as investors were cautious ahead of US jobs data in June. The benchmark S&P/ASX200 index was 3.3 points, or 0.09 per cent higher, at 3877.3 points, while the broader All Ordinaries index gained 2.9 points, or 0.07 per cent, to 3875.2 points. The Australian shares yesterday started the new financial year with a significant fall led by financial and resources stocks. The benchmark S&P/ASX200 index lost 80.9 points, or 2.05 per cent, to 3874 points, while the broader All Ordinaries index was 75.5 points, or 1.91 per cent lower, at 3872.3 points. The Australian shares fell in late trading on Monday, pulled by energy sector. The benchmark S&P/ASX200 lost 16.9 points, or 0.43 per cent, to 3886.9, and the broader All Ordinaries was down 16.8 points or 0.43 per cent to 3882.7. Analysts expect the local market remained directionless ahead of the financial year end. 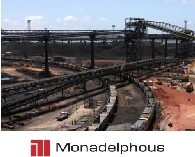 The Australian share market yesterday closed at a fresh seven-month high as resource stocks posted strong gains amid renewed attention to the proposed tie-up between Rio Tinto and BHP. The benchmark S&P/ASX200 index was up 22.8 points, or 0.57 per cent, to 4047.2, while the broader All Ordinaries index advanced 30.4 points, or 0.76 per cent, to 4046.7. The Australian market rose through the 4,000 level on Wednesday, led by property stocks as data showed the economy had avoided a recession. The benchmark S&P/ASX200 surged 61.9 points, or 1.56 per cent, to 4,017.2, while the broader All Ordinaries was 61.2 points, or 1.55 per cent higher, at 4,009.3. The Australian share market ended higher on Friday, led by banking stocks. The benchmark S&P/ASX200 index rose 62.4 points, or 1.66 per cent, to 3,818.1, while the broader All Ordinaries index gained 59.4 points, or 1.58 per cent, to 3,813.3. The Australian share market closed lower with a broad-based selling off after Wall Street&apos;s tumble. The benchmark S&P/ASX200 index slumped 45.4 points, or 1.2 per cent, at 3755.7, while the broader All Ordinaries index lost 41.4 points, or 1.1 per cent, to 3753.9. Yesterday the Australian share market ended slightly lower dragged by financial stocks. 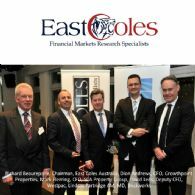 The benchmark S&P/ASX200 was down 10.7 points, or 0.28 per cent, at 3813.9, while the broader All Ordinaries had lost 4.2 points, or 0.11 per cent, to 3804.7. 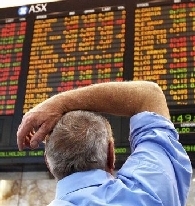 The Australian share market yesterday closed significantly lower as investors anticipated further drop in Europe and US. The benchmark S&P/ASX200 index fell 132.7 points, or 3.4 per cent, to 3723.4, while the broader All Ordinaries index declined 131.7 points, or 3.4 per cent, to 3710.8. The Australian share market showed a quiet response to the federal budget and closed in thin trading on Wednesday. Meanwhile, a growing list of companies seeking capital raising also absorbed attention from investors. The benchmark S&P/ASX200 index fell 21.1 points, or 0.54 per cent, at 3856.1, while the broader All Ordinaries index dropped 21.1 points, or 0.55 per cent, to 3842.5. Yesterday the Australian share market is lower after the RBA&apos;s rate cut announcement. The S&P/ASX200 index fell 1.3%, or 50.3 points, at 3706.3, while the broader All Ordinaries index was down 1.3%, or 47.9 points, at 3648.9. On Friday, the Australian shares closed higher. The benchmark S&P/ASX200 climbed 55.4 points, or 1.51 per cent, at 3,735.6, while the broader All Ordinaries surged 51.8 points, or 1.43 per cent, to 3,674. This week the focus of the local market will be the Reserve Bank of Australia&apos;s interest rate decision. 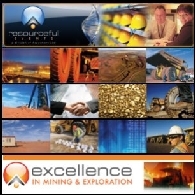 Resource Capital Research ("RCR"), an equity research company which focuses on small and mid size resource companies, today launched its major quarterly research report covering 16 global uranium exploration and development companies. Yesterday the Australian share ended 3.1% higher lifted by banks and miners. The benchmark S&P/ASX200 index gained 103.5 points at 3,451.9, while the broader All Ordinaries index was up 96.1 points, or 2.91 per cent, to 3,393.4. Today the local market has delivered a strong opening boosted by Wall Street&apos;s rally. On Wednesday Tokyo and Hong Kong markets bounced 4 per cent respectively in the morning following Wall Street&apos;s hefty overnight rally. Taiwan stocks rose 2.04 percent to a two-month high led by financial stocks after Citigroup said it turned profitable in the first two months in 2009. Yesterday the Australian market ended slightly higher. The big miners such as BHP Billiton and Rio Tinto pushed the market up despite falls in the banking and finance sector, according to CMC Markets. The benchmark S&P/ASX200 index was up 9 points, or 0.29 per cent, at 3154.5, while the broader All Ordinaries index rose 10 points to 3121.7. Today the big miners are not likely to help the market up after the falls of commodities prices and lacking positive news from the US. Australian shares closed lower on Friday. The Australian market sunk further into the red and languished in negative territory amidst gloomy economic news from here and overseas, according to CMC Markets. 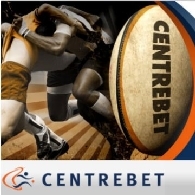 Yesterday the Australia market stayed on the red for the third consecutive day. Both the Aussie dollar and the S&P 200 Index fell lower on the news of the latest GDP figures. The benchmark S&P/ASX200 index ended down 1.6%, or 52.8 points, at 3166.4, while the All Ordinaries index loses 1.4%, or 45.5 points, at 3125.9. The Australian market was treading water on Monday in the midst of a combination of negative news from overseas and in the domestic scene. The benchmark S&P/ASX200 index fell 94.4 points, or 2.82 per cent, at 3250.1, while the broader All Ordinaries plunged 93.1 points, or 2.82 per cent, to 3203.8. Asia&apos;s major markets ended mostly lower yesterday. Tokyo stocks were hit by the data of huge contraction in the economy, but Shanghai Composite outperformed the Asian markets backed by hopes of further government economic stimulus measures, which also boosted the Hong Kong shares. Last Friday Australian shares ended higher, capping a winning week after reports that the US government was working on a program to help troubled US home owners. The benchmark S&P/ASX200 rose 44.8 points, or 1.27 per cent, at 3,559.1, while the broader All Ordinaries gained 38.2 points, or 1.1 per cent to 3,496.7. The Obama administration&apos;s seeking to lower expectations of a quick fix to the financial crisis and the coming earnings reports may send the market to a negative territory. Yesterday the Australian share market weathered the bad lead from Wall Street and ended with a modest drop. The benchmark S&P/ASX200 index closed down 0.4%, or 14.3 points, at 3474.4, while the All Ordinaries fell 0.3%, or 10.5 points, at 3418.1. 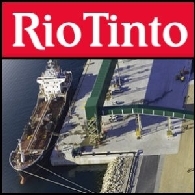 Today traders are expecting Rio Tinto&apos;s earnings report with a profit increase and details of the talks with Chinalco over the A$30 billion cash injection deal. Yesterday the Australian market closed slightly lower. The benchmark S&P/ASX200 index was down 0.6%, or 19.9 points, at 3488.7, while the broader All Ordinaries index dropped 0.5%, or 17.2 points, to 3428.6. On Friday, the Australian shares reversed an early fall despite the negative leads overnight on overseas markets. The benchmark S&P/ASX200 index closed up 14.5 points, or 0.41 per cent, at 3,540.7, while the broader All Ordinaries index had gained 16.8 points, or 0.49 per cent, to 3,478.1. This week traders are awaiting RBA&apos;s aggressive rate cut which is expected to announced when its board meets on Tuesday. On Thursday, the Australian shares rose for the third consecutive day led by rallies in overseas markets and strong commodities prices. The benchmark S&P/ASX200 index was up 30.7 points, or 0.88 per cent, at 3,526.2, while the broader All Ordinaries index had gained 26.2 points, or 0.76 per cent, to 3,461.3. The Australian market might lose its recent gains following the heavy fall in Wall St. 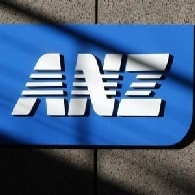 Yesterday the Australian shares ended higher led by banking sector. 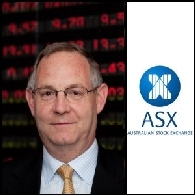 The benchmark S&P/ASX200 share index gained 1.5%, or 51.5 points, to 3495.5 points. The broader All Ordinaries index gained 1.3%, or 42.8 points, to 3435.1. 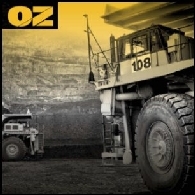 On Friday the Australian stock market ended higher on the recovery in mining sector. The benchmark S&P/ASX200 index closed up 21.4 points, or 0.61%, at 3550.9, while the broader All Ordinaries gained 18.1 points, or 0.52%, to 3494.9. Analysts expect the market may keep its way of turbulence in the reporting season until some clarity of the economy could be seen. Tomorrow Barack Obama&apos;s inauguration will be the focus of the week to boost some confidence in the market. Yesterday the Australian stock market closed nearly 1% higher with gains in banking and resource sectors. The benchmark S&P/ASX200 index ended up 32.4 points, or 0.9%, at 3687 and the broader All Ordinaries index was up 30.4 points, or 0.9%, at 3624.3. Earlier, the market had sunk into negative territory. Today&apos;s focus will be the official unemployment figures for December 2008 which are expected to rise on the deepened credit crisis. Yesterday the Australian shares closed lower. The benchmark S&P/ASX200 index ended 52.4 points, or 1.4%, lower at 3683.3, while the broader All Ordinaries shed 56.4 points, or 1.53%, to 3624.0. The market is pessimistic about the company earnings ahead both in Australia and abroad as investors get prepared for the news that would bring some unpleasant surprises. Yesterday offshore markets helped lift the Australian share market to a two-month high. Investors started to return as they were increasingly confident that the market may have passed the worst situation. The benchmark S&P/ASX200 index was up 37.0 points, or 0.99 per cent, at 3,779.7, and the broader All Ordinaries index added 39.0 points, or 1.06 per cent, to 3,728.2. The weaker commodities prices and performance of US stocks may send the local market down. Yesterday the Australian stock market closed marginally higher despite a big lead from United States markets. The banking sector was pulled down by Commonwealth Bank as it tried to sell shares to institutional investors for A$2 billion capital raising. The benchmark S&P/ASX200 index had gained 14.4 points, or 0.4 per cent, to 3570.6 points, while the broader All Ordinaries index was up 16.1 points, or 0.46 per cent, at 3515.0 points. Commonwealth Bank&apos;s termination of the share placement and rising bad debts has hit the confidence of the banking sector. 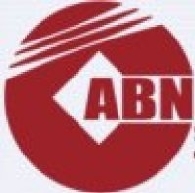 Yesterday, the Australian market closed higher as the miners surged on rising commodities prices offsetting the slump dragged by Telstra after the government ruled out the company from the tender list for bidding on the national broadband network. The benchmark S&P/ASX200 share index ended the day 2.3% higher, or 81 points, at 3591.4, while the broader All Ordinaries index rose 2.4%, or 83.2 points, to 3535.7. Traditionally the market would be quiet during this period with more focus on specific stocks rather than the market as a whole. On Wednesday, the Australian stock market closed marginally higher as figures showed that economic growth slowed to a crawl in the September quarter. The benchmark S&P/ASX200 index rose 5.6 points, or 0.16 per cent, to 3,533.8, while the broader All Ordinaries added 3.1 points, or 0.09 per cent, to 3,476.5. In recent weeks, the Australian share kept see-sawed during the trading day. In a short term investors remained cautious to any trigger on the market, while the impact for low interest rates and government stimulus may need some time to work. The Australian market closed lower on Wednesday. The benchmark S&P/ASX200 index ended down 83.4 points, or 2.3 per cent, at 3540.0, while the broader All Ordinaries dropped 95.8 points, or 2.68 per cent, to 3479.6. Analysts expect the US rally sustain for a while as there are some good signs in the global financial markets. Yesterday, benefited from the US government&apos;s bailout plan on Citigroup, the Australian market benchmark S&P/ASX200 share index had its best day in more than 11 years, jumping 5.8%, or 198.3 points, to 3623.4, while the broader All Ordinaries index was up 5.5%, or 186.6 points, to 3575.4. Analysts say the market sentiment remains fragile as fundamental problems have not changed, although world governments are taking action to stimulate economy. On Thursday, the Australian sharemarket closed more than four per cent weaker, dropping almost to five-year lows, with losses in all sectors. The benchmark S&P/ASX200 index was down 146.7 points, or 4.19 per cent, at 3,352.9 while the broader All Ordinaries index had shed 150.6 points, or 4.32 per cent, to 3332.6. Analysts predict the bottom is getting closer and lower than 3000 points is possible as market would be dragged down by the US and growing concerns on recession in Australia. 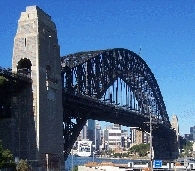 On Wednesday, the Australian sharemarket closed lower despite a positive start led by rally on Wall Street overnight. The benchmark S&P/ASX200 index was down 23.6 points, or 0.67 per cent, at 3,499.63 while the broader All Ordinaries index shed 29.9 points, or 0.85 per cent, to 3,483.23. The market has lost half its value, or A$804 billion in just over one year. 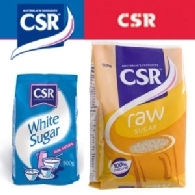 Analysts say that the overall trend may not change without catalyst for the market to go up while the overseas will pull the Australia market lower each time it seems to hit the bottom. At week&apos;s end, Wall St. rebounded with about 2.9% rise on hopes for further US rate cuts and President-elect Barack Obama&apos;s call for another economic stimulus plan. China&apos;s announcement over the weekend that it will spend 4 trillion yuan by 2010 to help re-ignite growth may also shore up Australian stocks, particularly miners. 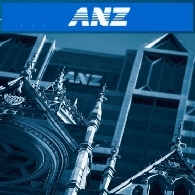 The Australia share market closed marginally weaker after a 75 basis point interest rate cut by the RBA boosted the bourse back from earlier sharply lower levels. The deep cut mirrors RBA&apos;s worry about the domestic and global economic outlook. Analysts said the Australia market may have hit the bottom last week at about 3600 points, and the Democratic win in the US election will also give a positive lead to the Australia market. Overnight Wall Street closed with a 2.1 per cent gain, qualifying it as one of the quietest sessions in October. As the recent Australian share market has never made consecutive gains more than two days, analysts speculate a flat market today. Investors may take the breather as they did and wait until the expected RBA rate cut next Tuesday to move back into the market. Overnight the Wall St took a dive on grim economic news pointing to weaker growth and profits in the year ahead, with Dow Jones Industrial Average fell 7.87% for its biggest percentage loss since October of 1987. The US Federal Reserve&apos;s snapshot of business conditions said economic activity was weaker across all 12 districts in September and consumer spending fell in most regions. 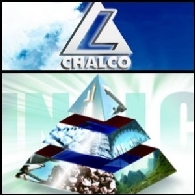 CHALCO (NYSE:ACH)(HKG:2600)(SHA:601600) has confirmed recently to present as the platinum sponsor of CHINA MINING Congress & Expo 2008 following on from its successful sponsorship of CHINA MINING 2007, said CHINA MINING, the organizing committee of CHINA MINING 2008. Yesterday, the Australian share market closed weaker across the board as the big miners and most of the banks fell. On Thursday the benchmark S&P/ASX200 index slid below the key 5000 mark, losing 80.5 points, or 1.59%, to 4979.5, while the broader All Ordinaries lost 79.6 points, or 1.55%, to 5050.9. Analysts says today investors face a day of turmoil as Wall St slumped overnight on renewed concerns about the economy with reports showing retail sales and employment are weakening. Yesterday the Australian share market was dragged down by a 6% fall in Rio Tinto and broad-based weakness across the resources sector on falling commodity prices and a weak US lead. The benchmark S&P/ASX200 was down 56 points, or 1.1%, to 5060, while the broader All Ordinaries had lost 64.5 points, or 1.2%, to 5130.5. Yesterday, the Australian share market closed slightly weaker despite a cut to official interest rates and a drop in the oil price. The benchmark S&P/ASX200 was down 2.3 points, or 0.04 per cent, to 5,116, while the broader All Ordinaries fell five points, or 0.1 per cent, to 5,195. The Australian stock market may continue the decline today with US equities and commodities down overnight. Yesterday, the Australian share market closed slightly lower following weaker commodity prices. The benchmark S&P/ASX200 index was down 17.3 points, or 0.34%, to 5118.3, while the broader All Ordinaries index fell 15.5 points, or 0.3%, to 5200. 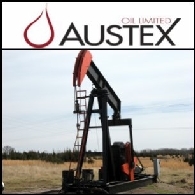 The Australian stock market may rise slightly after oil continued to slide, and transport and consumer related stocks may firm on the back of further fall in oil prices. The Australian share market fell 1.5% on Tuesday after a disappointing lead from the US reignited jitters over local financial stocks. 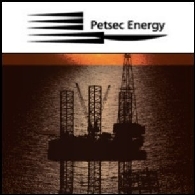 Wall St was buoyed by a drop in the oil price and positive consumer confidence data. A survey shows in the US home prices in the 20 large cities declined 0.9 per cent on a monthly basis to May. US stocks rocketed higher as the latest slide in crude oil and news that investment giant Merrill Lynch was taking steps to shore up its finances energised the market. Australia Market Report of July 17: Is The Worst Over? Last night Wall Street led on easing concerns about a credit crisis, but gains are likely to be tempered by declines in mining and oil companies after oil, gold and base metals prices fell. The Australian share market is expected to open lower today after Wall St fell over one per cent on Friday. On the Sydney Futures exchange, the September share price index futures contract lost 74 points, or 1.49 per cent, to 4,880. The Australian share market rose 0.9 per cent on Friday as resource stocks, led by gold and oil companies, surged on higher commodity prices and the banks pared early losses. Yesterday, the Australian share market ended more than 1% lower following sharp losses in the US overnight, with resources and the banks leading the decline locally. 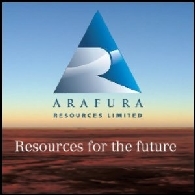 Tamaya Resources Limited (ASX: TMR or "Tamaya")(PINK:TMAYF) has completed a remapping of the Regua Tungsten project (TMR 86.2%), and a detailed data review following the mobilisation of an exploration team for the project in late 2007. The China Int&apos;l Steel & Minerals Conference 2008, with the theme of mining development, will be held by UMETAL website in Nanjing, China on March 30. More than 400 delegates have been confirmed at home and abroad. SAI Global Limited (ASX: SAI) has joined a high level trade and investment delegation to Indonesia in a bid to help drive reform in the country&apos;s service sector. The Federal government backed delegation of 35 Chief Executives Officers from leading Australian companies was the largest official group to visit Indonesia since the 1997 financial crisis. RBC Capital Markets, the corporate and investment banking arm of Royal Bank of Canada (RY on TSX and NYSE), yesterday held its inaugural diamond conference in London. 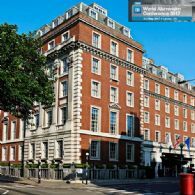 The conference brought together senior executives from industry-leading exploration and mining companies including De Beers, Aber Diamonds (owner of Harry Winston), Rio Tinto, BHP Billiton and Petra Diamonds. 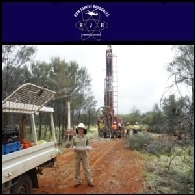 Rio Tinto Limited (ASX: RIO) - Address at Melbourne Mining Club - Mr Leigh Clifford, CEO; Boardroomradio is pleased to announce that Rio Tinto Limited (ASX: RIO) has published an audio file. 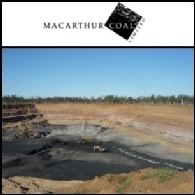 The Directors of Novacoat Holdings Ltd (ASX: NVC) announced today that its subsidiary, McFee Pty Ltd (McFee), has received a Notice of Award and Authority to Proceed, for the structural and mechanical installation works for Bendigo Mining Company Limited&apos;s glod processing plant in Bendigo, Victoria. 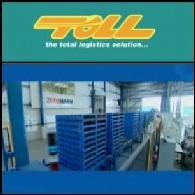 The value of the works is approximately AUD$6 million.